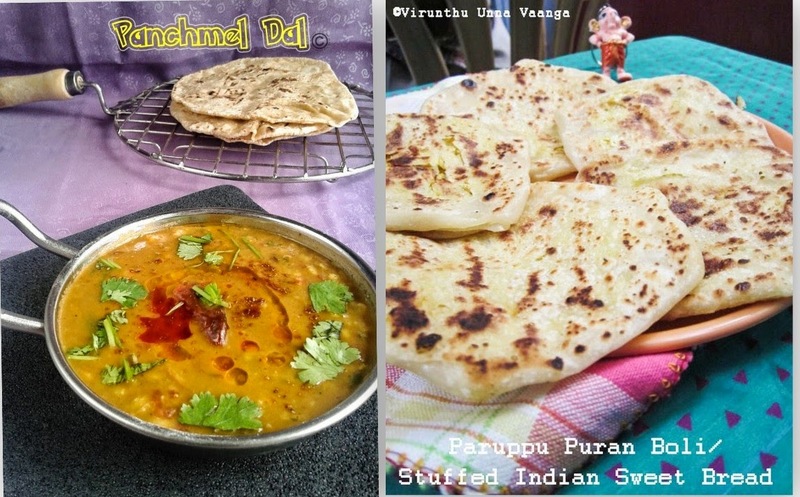 Hi friends, nowadays we used to prepare very simple recipes for lunch box or if we do not have enough time to spend on kitchen, right? 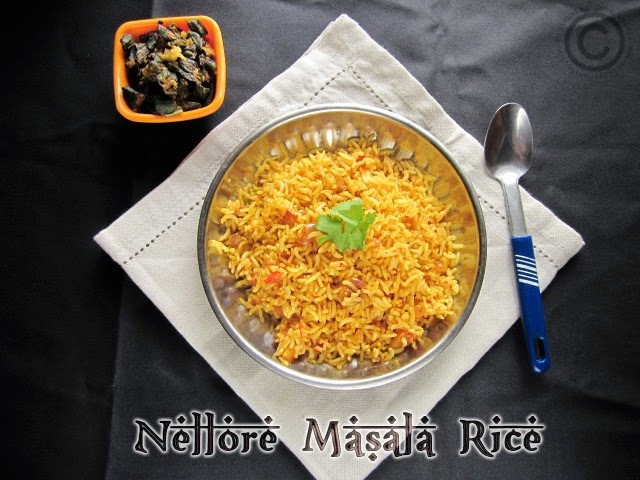 Here is the simple yet delicious Nellore Special Masala Rice. 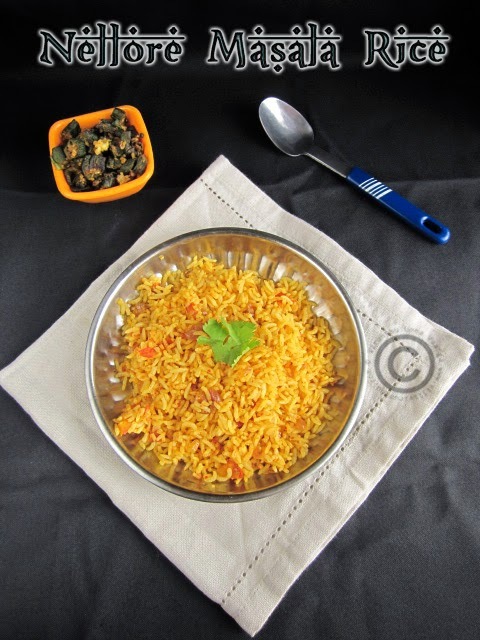 I prepared the rice in a jiffy and we all loved it much. 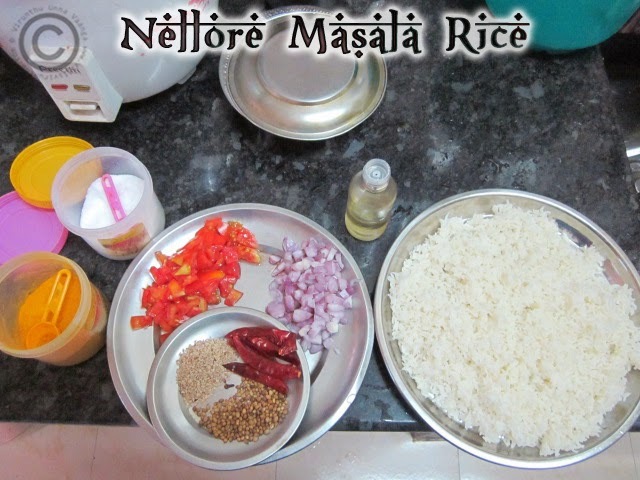 Its easy to make and gives flavor of sesame and coriander. 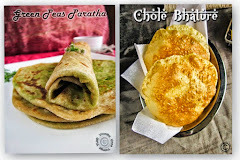 I am posting the recipe for Cooking from Cookbook Challenge which is conducted by +Srivalli jetti for CC Challenge of the month. Heat pan, dry roast the sesame, coriander seeds, dry red chillies and cloves for 2 minutes or till the aroma come and cool it completely and blend it into coarse powder. Heat oil, add shallots sauté it till translucent following by add tomatoes sauté it. 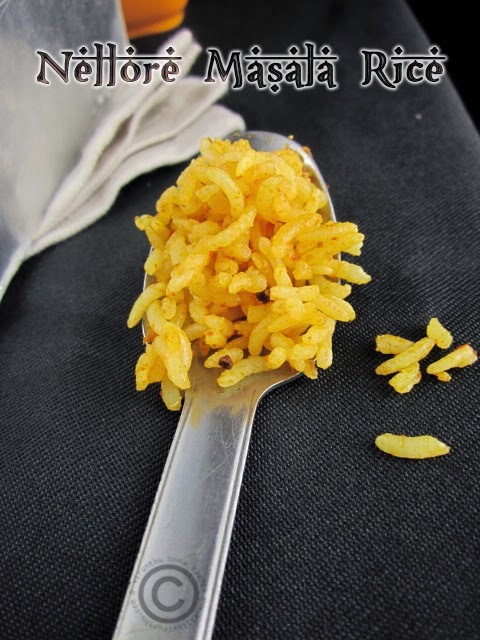 Add turmeric and salt, stir it once then add ground masala powder and sauté it well for 3-4 minutes. 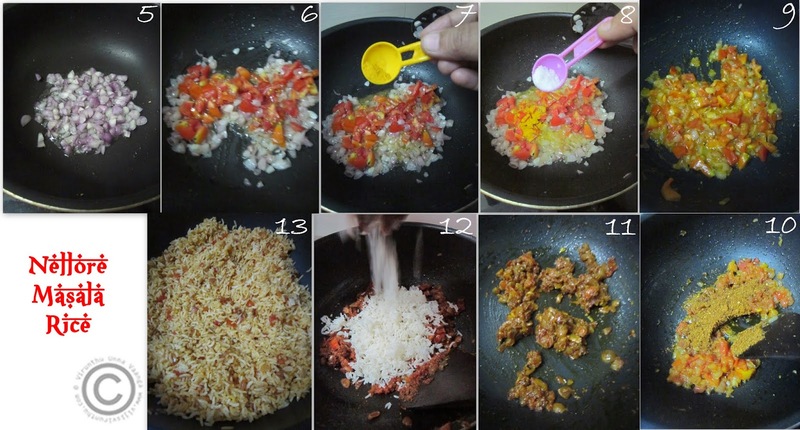 Now add cooked rice and mix it gently and switch off the flame. 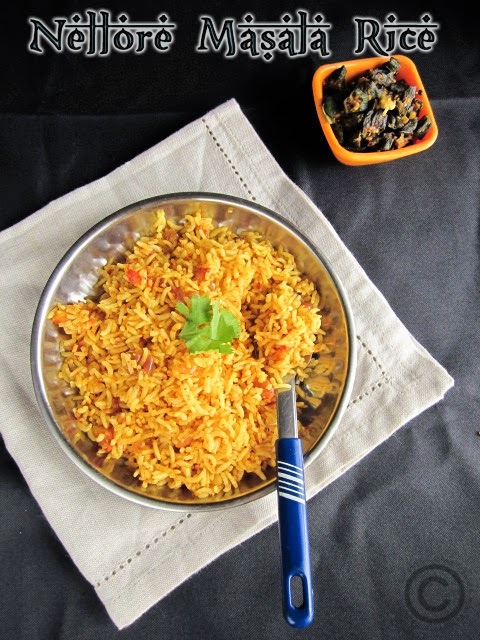 SUPER DELICIOUS AND HEALTHY RICE!!! 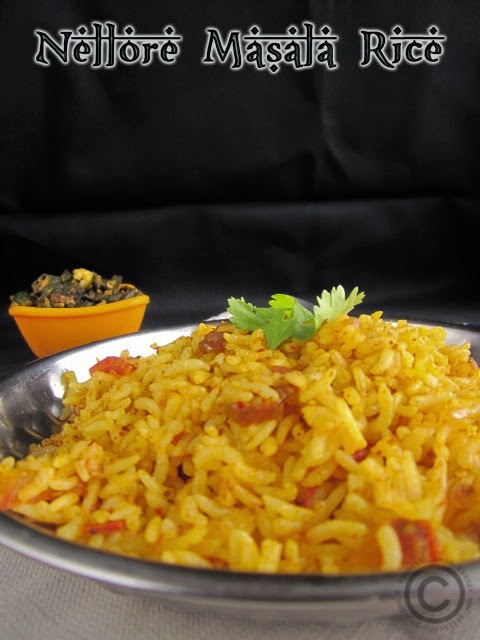 Rice looks very interesting..good one..
Looks like a flavorful rice! Yum! 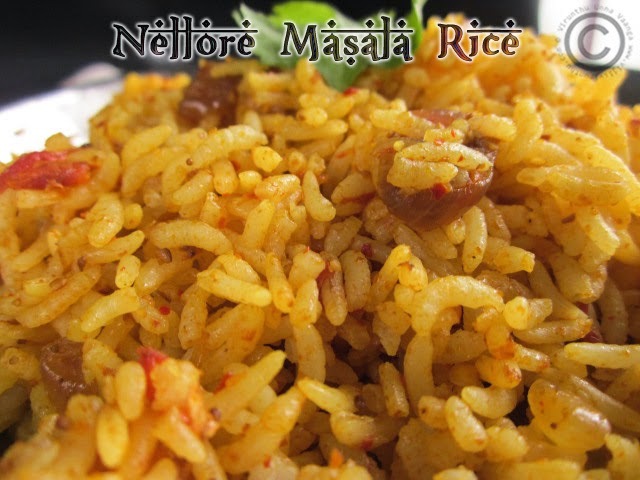 very very flavorful and delicious rice , makes me tempt :) delicious combo loving it !! awesome presentation dear ! !